IBM's Hybrid IT Proactive Operations Management solutions to the rescue! Empower your IT operations to identify, isolate and resolve problems before they impact your business services. Learn how you can use IBM Operations Analytics to employ cognitive machine learning and extract greater value. Eni manages a complex, geographically dispersed IT environment with Netcool. Make dreams a reality by creating the space to innovate and enabling proactive management. Streamline service delivery, minimize complexity, and deliver innovative new services to customers today and into the future. Find out how organizations using IBM Netcool Operations Insight achieved an ROI of 126 percent. Discover how cognitive capabilities have revolutionized IT service management. Learn how IBM Netcool Operations Insight can help organizations identify, isolate and resolve IT problems. 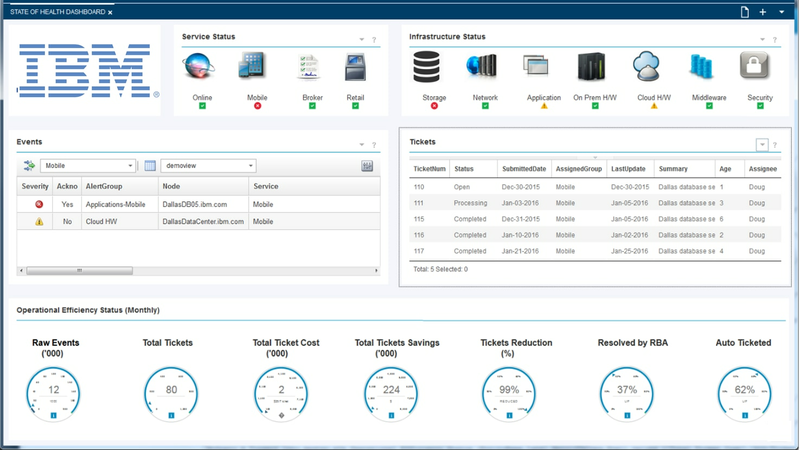 Manage operations in a fast changing IT infrastructure environment with IBM Netcool Agile Service Manager. Discover why IBM has been recognized as a leader in the 2018 report for completeness of vision and continued execution. Learn how to optimize operational insights into application and infrastructure behaviors.